Where’s all the bellyaching about the impact of the Republican/Trump Tax Cut-A-Palooza on the debt and deficit? For eight years during the Obama Administration it seemed like all any Republican politician could focus on was the debt and the deficit. They held the government hostage to it, and now nary a peep. The president of the Ohio Civil Service Employees Association slammed the U.S. Congressional Republican tax plan last week that gives millionaires and corporations lavish tax breaks but hurts working families. OSCEA President Chris Mabe called the GOP proposal being pushed by the Trump Administration a dangerous plan that doubles down on the same policies that have only helped the rich and powerful grow more rich and powerful, and failed the rest of us for decades. 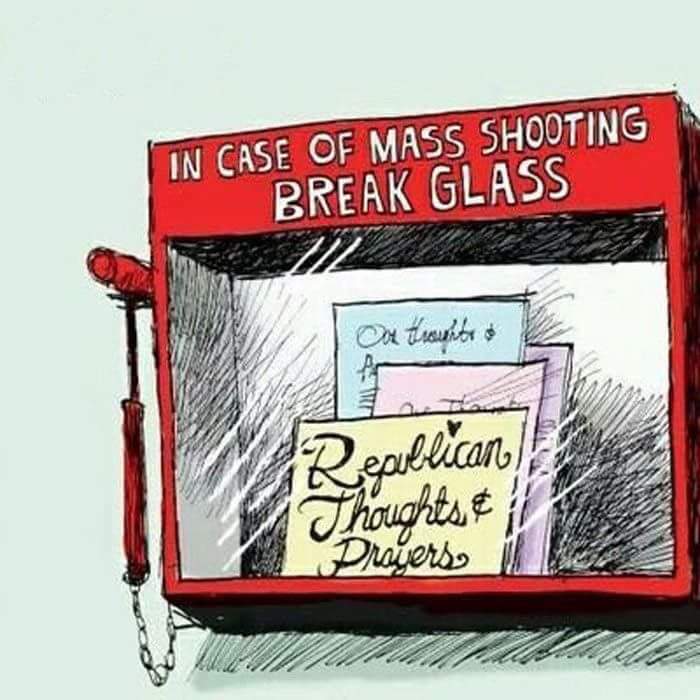 That tired, predictable, and canned refrain is uttered ritualistically by politicians in response to the latest American mass shooting.